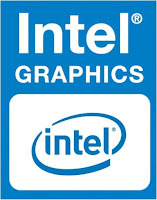 Free Download the Intel® Graphics Driver version 15.45.10.4542 for Windows 10 and Windows 7 and Windows 8.1. Note: Operating system support varies by platform. Due to this and a limitation of the database, Download Center search capabilities cannot report OS support accurately. The latest Intel® Graphics Driver release supports the newest 7th Generation Intel® Core™ Processors. It delivers ‘All Day 4k’- making 4K UHD mainstream while delivering 9.5 hours1 of battery life. Our primary focus in this release is to make your premium content viewing, 360o media creation, and gaming experiences richer and more immersive. Play games like Overwatch on-the-go, in HD. Enjoy game-play up to 60 fps and improved performance on games like DOTA 2 and CounterStrike: GO.